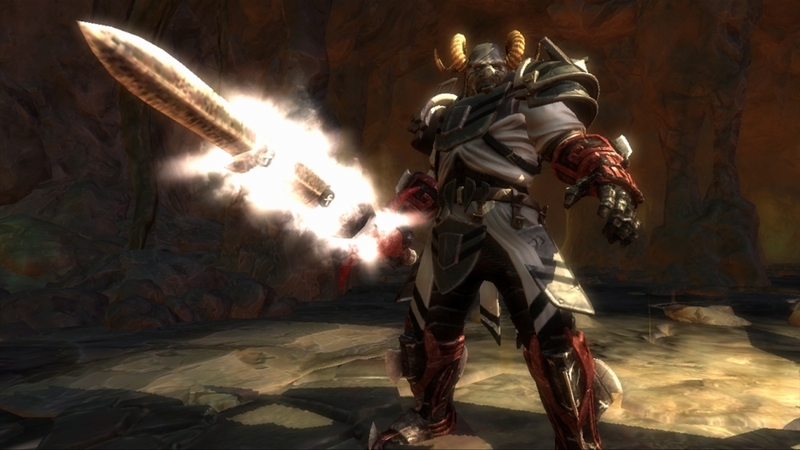 Items in Ascend: Hand of Kul fall into two categories: Runes and Boosts. While both item types can be purchased from the menu store, only Runes can be collected from chests throughout the world; boosts must be acquired by spending souls. Runes are modifiers that can be affixed to equipment for additional damage, protections or effects. Weapon Runes run the spectrum from common to rare, adding the potential for on-hit effects or enhancing the base statistics of your character. Armor runes also range from common to rare, piling on protections, increasing your characters base attributes or adding resistances to specific forms of magic and the chance to outright negate spells. 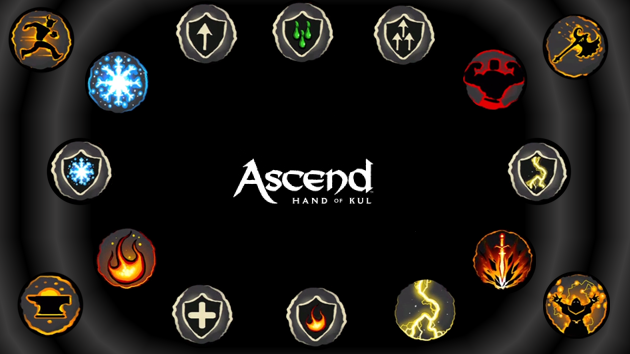 Below you’ll find a collection of all runes currently available in Ascend: Hand of Kul, their costs and some quick tips regarding their usage. For more information on runes on how they can be best used with equipment, visit the Equipment section of this guide. Fire chance percentage is the probability of igniting enemies, dealing slight damage over time with a weapon attack. This rune best compliments a fast weapon type for increased effect chances per second. Frost chance percentage is the probability of slightly slowing enemies with a weapon attack. Despite the description, there is no visible damage done when the effect is triggered. This rune best compliments a fast weapon type for increased effect chances per second. Lightning chance percentage is the probability of stunning enemies, interrupting any attack they’re in the process of performing and dealing slight damage over time with a weapon attack. This rune best compliments a fast weapon type for increased effect chances per second. Critical Strike chance is the probability of dealing double the damage of the weapon attack. This rune compliments both a fast weapon type for increased damage output per second, as well as a slow weapon type to maximize damage potential when fighting enemies with small windows of vulnerability. Magic Damage is the base damage your character does with spells. As this rune directly modifies your base statistics, it compliments all weapon types. Melee Damage is the base damage your character does with weapon attacks. As this rune directly modifies your base statistics, it compliments all weapon types. Detonate chance is the probability of causing a small explosion, damaging and knocking back your target and adjacent enemies with a weapon attack. This rune best compliments a fast weapon type for increased effect chances per second. Attack Speed is the base speed with which your character delivers weapon attacks. As this rune directly modifies your base statistics, it compliments all weapon types. Dark Resist percentage is the amount of damage your character can mitigate from Dark-aligned and fire-based damage sources, along with a chance to completely negate spells and damage of this type. This rune is of greatest benefit in Dark-aligned dungeons or fighting Ascended Caos. Void Resist percentage is the amount of damage your character can mitigate from Void-aligned and freeze-based damage sources, along with a chance to completely negate spells and damage of this type. This rune is of greatest benefit in Void-aligned dungeons or fighting Ascended Caos. Light Resist percentage is the amount of damage your character can mitigate from Light-aligned and lightning-based damage sources, along with a chance to completely negate spells and damage of this type. This rune is of greatest benefit in Light-aligned dungeons or fighting Ascended Caos. Max Armor is the total amount of your character’s physical protection, which mitigates physical damage. This rune is effective in all areas of the world, as the majority of damage sources are physical. Magic Resist percentage is the amount of damage your character can mitigate from non-alignment magic-based damage sources, along with a chance to completely negate spells and damage of this type. This rune is effective against basic enemy magic users like Witch Doctors and Shamans. Acid Resist percentage is the amount of damage your character can mitigate from acid-based damage sources. This rune is effective in the Arkan Moors zone, where acid-based enemy variants first appear and cause potentially lethal acid and poison damage with basic attacks. Max Health is the total number of health points for your character. This rune is effective in all situations. Dodge Chance percentage is the chance to the dodge incoming enemy attacks, completely negating the damage. This rune is effective in all situations, especially when trying to maintain a high combo multiplier. Boosts are powerful, temporary buffs that enhance your character in a number of ways. When purchased, boosts are active for their specified amount of time, but only while you are actively playing. This means the Boost duration will stop ticking down while you’re logged off, paused, or in the menu systems. In addition to the standard duration boosts listed below, there are week-long versions that provide the same benefit for an entire week at a much greater cost. However, these week-long boosts continue to deplete while you are not logged into Ascend – meaning their cost-effectiveness is totally dependent the amount of time you play during that period. The Shield of the Gods Boost is effective in all situations, especially if an enemy player continues to Banish or use Curses in dangerous situations. The Rune Speed Boost is effective in some situations, primarily when delving dungeons for chests while bypassing enemies. Its effectiveness depends entirely on how much you’re constantly moving. The Attack Speed Boost is useful for increasing your swings per second, which lends itself well to situations where you’re trying to quickly build a combo multiplier. The Health Point Boost is effective in any situation where you’re not able to escape combat and regenerate health naturally, primarily: fighting Apex or getting grabbed by an Ogre. The Magic Cooldown Boost is useful for casting more spells in a shorter span of time. It’s useful when using area-of-effective spells for farming due to their long cooldowns, or delving dungeons many levels higher than you since spells will be your primary source of damage output. The Light Mask Boost is used to disguise your alignment for entering Light dungeons if you’re not aligned to that God. The Dark Mask Boost is used to disguise your alignment for entering Dark dungeons if you’re not aligned to that God. The Void Mask Boost is used to disguise your alignment for entering Void dungeons if you’re not aligned to that God. The Gear Protection Boost is not initially useful given its high cost and short duration. However, as players collect higher level, better quality equipment, and harvest souls more quickly, the cost of this Boost can often outweigh any repair costs accrued in that amount of time. The Double XP Boost is useful during higher levels when farming experience toward Ascension given its high cost and short duration. It becomes much less cost-effective to purchase if you’re not farming experience in a stationary location, as any time moving and not spent actively killing something diminishes your return on the investment. The Witching Hour Boost is a temporary addition to the lists of Boosts and is not cost-effective with the exception of a few specific scenarios: delving dungeons many levels higher than your character where spells become the only source of damage output, or fighting enemy Ascended Champions. Do not purchase this boost when farming or traversing the world. The additional souls that can be harvested per minute, thanks to the added damage, almost never covers the hefty cost of the boost.